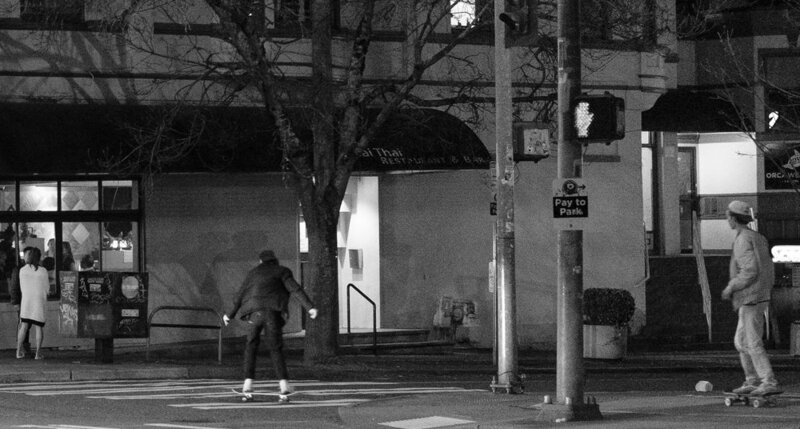 I was walking along Broadway last night, debating what to eat, when I saw a couple of skateboarders across the street. I’ll always think skateboarders are cool. I fumbled for my camera and was too late to get a decent shot, but when I looked at it in Lightroom I decided to play around with some cropping. I unlocked the aspect ratio, so I’m curious to see how these look on the laptop and on a phone. Addition: I’ve noticed that Lightroom is applying 40 sharpness to my RAW images. I’m not sure if that’s standard or ideal. I added a version where I dropped the sharpness. It seems high to me, and I’m going to see about changing the default level and also ask people for their thoughts on the optimal level. And after that I’m going to look up the difference between optimum and optimal.